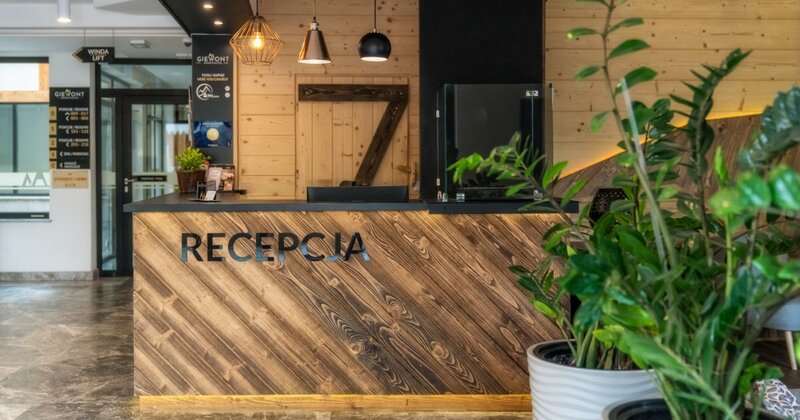 4-person or 6-person corner suite PRESIDENTIAL, in the very center of Zakopane, 50m from Krupówki. The apartment consists of a living room with a kitchenette, two bedrooms, mezzanine, bathroom and a corner balcony. The modern-style rooms have been decorated in bright colors. The spacious room offers a fully equipped kitchenette. Table and chairs, cutlery, dishes, glasses, mugs, wine glasses, pots, fridge, cooking utensils, coffee maker, electric kettle, microwave oven, induction hob. will allow you to prepare your own meals. We have the possibility of adding a high chair for the child. The sitting area includes a large corner sofa bed, flat-scree TV with CYFRA + TV package, TV table and a small table near the sofa. The bedrooms include large double beds, bedside tables, flat-screen TV sets. On the mezzanine, you will find a large double bed. The bathroom includes a shower cabin and a shower head, toilet, washbasin and a hair dryer, washing machine and a fold-out clothes dryer. The equipment also includes a set of towels and toiletries. The balcony is of the length of the entire apartment, from the kitchenette to the bedroom. It will allow you to admire the Sleeping Knight, Sarnia Skała leading to Polana Strążyska. In the background, in good weather conditions, you will see the Western Tatras (Kopa Kondracka, Krzesanica, Małołączniak, Ciemniak) and the city of Zakopane on the opposite side. The Bathroom includes a shower cabin with a shower head, toilet, wash basin and hairdryer. The apartment is also equipped with a set of towels and toiletries, an ironing board and an iron - available at the reception. The apartment offer does not include own food service, however, it is possible to order a catering breakfast served to bed at a time specified (orders accepted until 18:00 the day before). - Pool with the size of 6x12m, up to 1.5 deep. Children aged under 4 stay free of charge. Hotel day from 16:00 to 11:00. Possible change of hours after prior contact with the reception. Excellent solution for couples or families for a longer stay as well as weekend trips. Pets are accepted. Additional charges may apply.